Your car tyres are the only single link to the surface of the road. Therefore, it does not matter whether you have a car that has a powerful engine and a sophisticated transmission if you have subpar tyres. However, most people find it difficult to find the best ones for their car. If you have the answers to the two questions, any tyre shop can help you to determine your needs before you make a purchase. Ensure that you communicate to a salesperson in a shop who has a reputation for helping clients with the right answers. Based on the questions you ask, you will get the right tyres based on some factors like the tread life, driving conditions, handling and ride. How long should a set of tyres last? When asking this question, you should keep in mind that in some instances the lifespan is not exact. This is because the wear and tear of a tyre is tested by a manufacturer and it may not be accurate. To know it lifespan, look at the UTQG rating. Tyres are graded and labelled to establish the correct traction, tread wear and temperature resistance. This is a law which manufacturers follow, and they indicate the comparisons between a control tyre and a tested tyre. 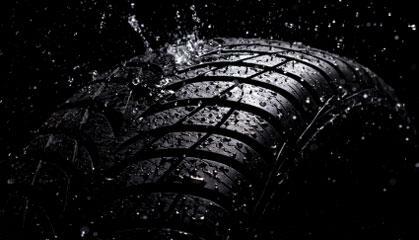 Which are the best tyres to use in wet weather? Most people around Europe live in a climate where the weather is wet and cold at one time during the year. Therefore, if you live in such a place, you will want to focus on purchasing ones that are capable of coping in wet weather. If you do not choose an all-out snow set of tyres to use during winter, swap for a set of standard to use during the milder months. Also see in this post the difference between wet and dry tyres. Which speed rating should you choose? If you live in an area where the speed limit is below 100 KPH, why would you consider purchasing tyres that are speed rated for speeds higher than 200KPH? You should be honest with yourself and choose ones that are speed rated at normal speeds. A good and standard speed rating you can consider is the H rated. These tyres can withstand speeds of more than 150KPH. You will not spend a lot of money and most likely not note the difference when driving. It is important to choose the best speed rating to maintain speed while you drive fast. If you own a normal street car, you can choose the V-rated tyres unless you want to drive at speeds higher than 200KPH. What you should remember is that the tyres with high-speed rating are manufactured using softer rubber which means that the tyre has a shorter tread life, and it will most likely have a low lifespan in the real world. Which ride quality tyres do you need? A car that has low-profile tyres, for instance, a 40 or 50-series looks beautiful and sporty, but this feature can be harsh to the car over potholes and bumps. Ideally, you should choose a 60 or 55. Low profile tyres are prone to damage. However, they have stiff sidewalls which can improve the handling of your vehicle. Should you purchase tyres that are noisy? Some of the tread designs produce a louder noise than others; this depends on the tread design and the tyre brand. If you drive in the city streets, then this may not be a major factor. But if you drive on the highway, you will need to consider this feature especially if you drive an SUV. You can get tyres that are quiet. It is good to note that some tyres of the same make but in different lines will also vary in the road noise. Choosing the right set involves a number of considerations. Talking to a salesman about your needs will help you increase your driving experience by getting the best tyres that have a longer lifespan. Remember to choose those that are manufactured using recent technology. Great tyres can make your less-than-fantastic car look great.